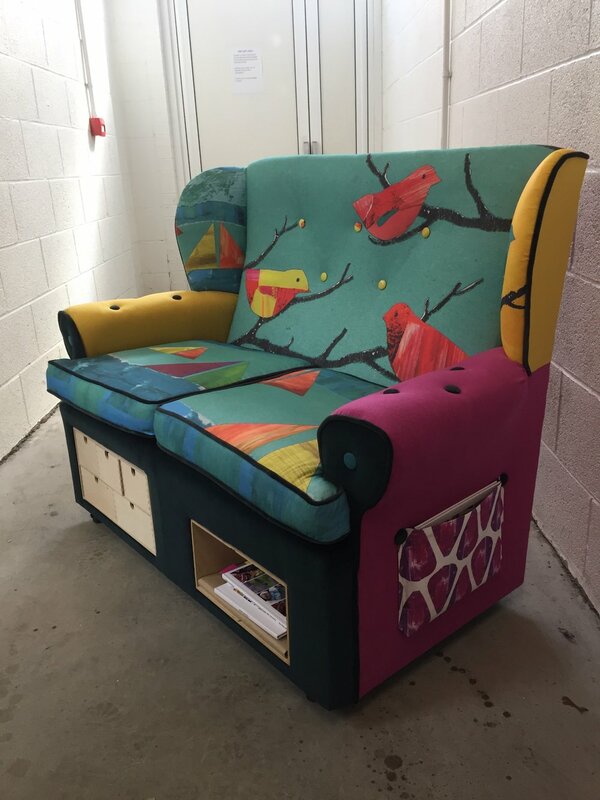 Ali Brown of Creativity Works worked with the residents of a dementia care home in Stockwood to create this memory sofa. The fairly dull original sofa was brought back to life by Chairs Revived in material emblazoned with the residents' own art work. It contains beautiful and meaningful objects in its cleverly designed pockets, including photos, lavender and little toys. It also accommodates books relaying many of the stories that have been told by the residents. 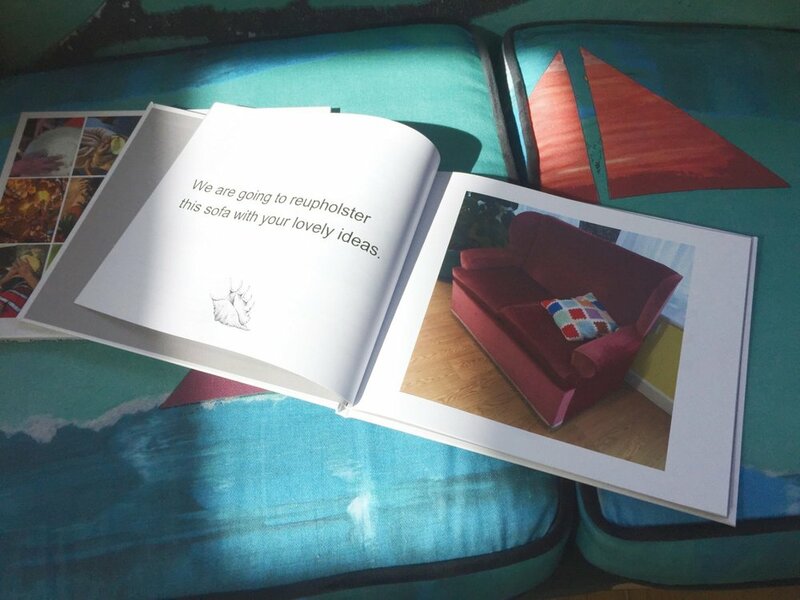 The sofa has a tactile element with buttons and velvet piping. Well it's already been a busy year! Starting off with a rush job in January to create seating booths for the new Guerrilla Burger restaurant in Baldwin Street, Bristol. Chairs Revived Victorian Nursing Chair was chosen by 'The Times' to feature in the 'Get the look' section of the interiors supplement on Friday the 11th of May. This item is still for sale but they got the price wrong! It has been reduced to £420.... an absolute bargain! 'Makers' a new creative hub on Colston Street, Bristol, officially opened its doors to the public on Friday with its opening night party. The shop, set up by 4 Bristol based designers, sells gorgeous one off items produced by local artists and makers. 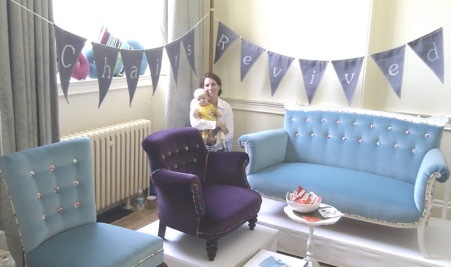 Chairs Revived is lucky enough to be included amongst them with its beautifully revived Victorian nursing chair featuring centre stage in the window! Chairs Revived's 20th Century Armchair is featured on the shopping pages of ' Homes and Antiques' magazine, October issue. I have to say the chair looks even better in the flesh! Chairs Revived latest range was showcased at the 'It's Darling!' Vintage and Artisan fair at Bath's Guildhall on Saturday. Despite the miserable weather, the turn out was good, it was a great day and the new range was much admired. As was 3 month old Harry, the latest member of Chairs Revived who certainly seemed to draw in the crowds! 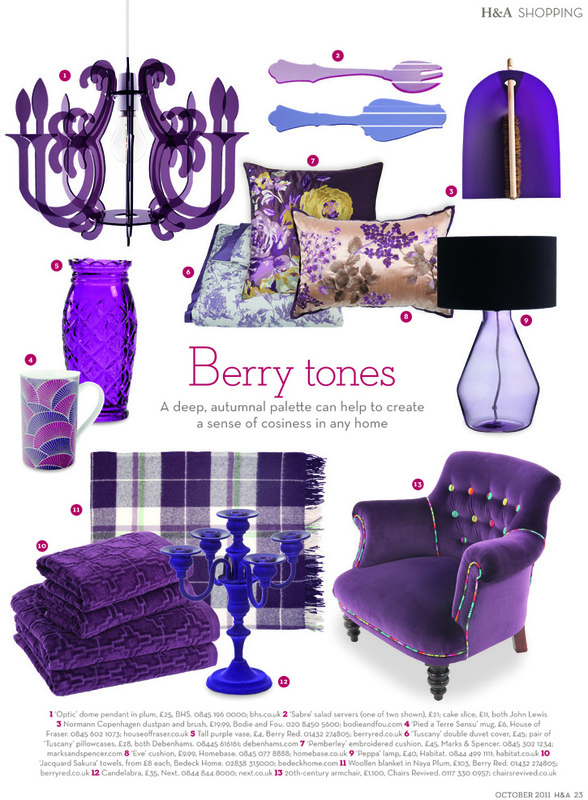 A particular favorite was the quirky 20th Century armchair upholstered in luxurious purple velvet adorned with stripy buttons and piping detailing. Don't forget - everyone who wants to purchase items from the showroom should mention the fair to receive their 10% discount from the website prices.